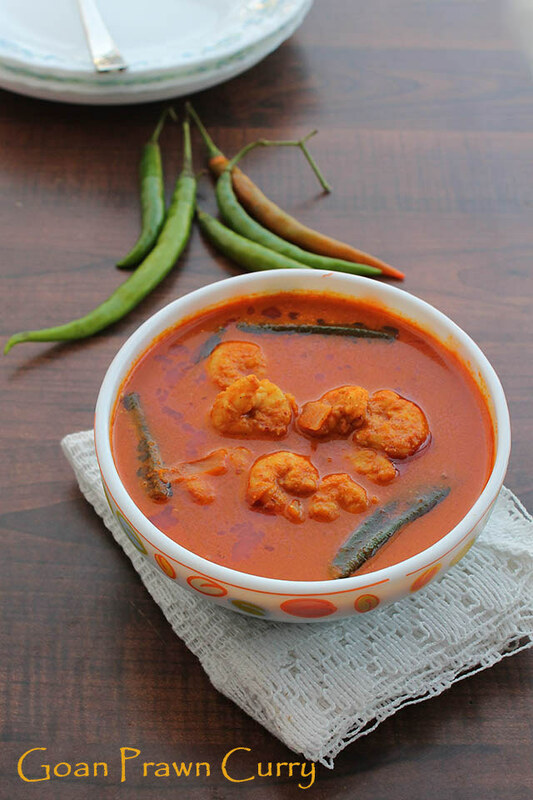 The famous Goan Prawn Curry recipe with step by step instructions! 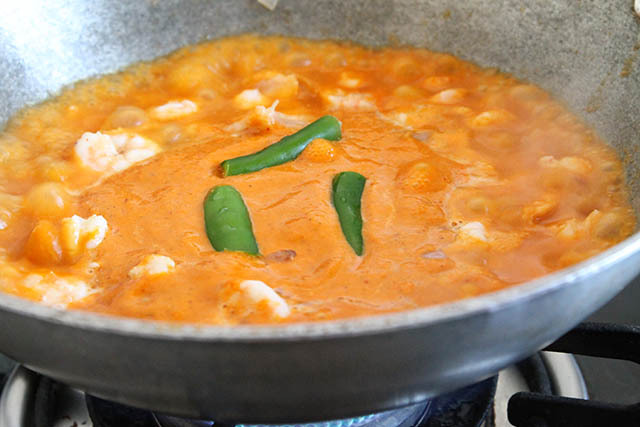 My mouth starts salivating with my mom’s prawns curry. All the credit goes to my mom. 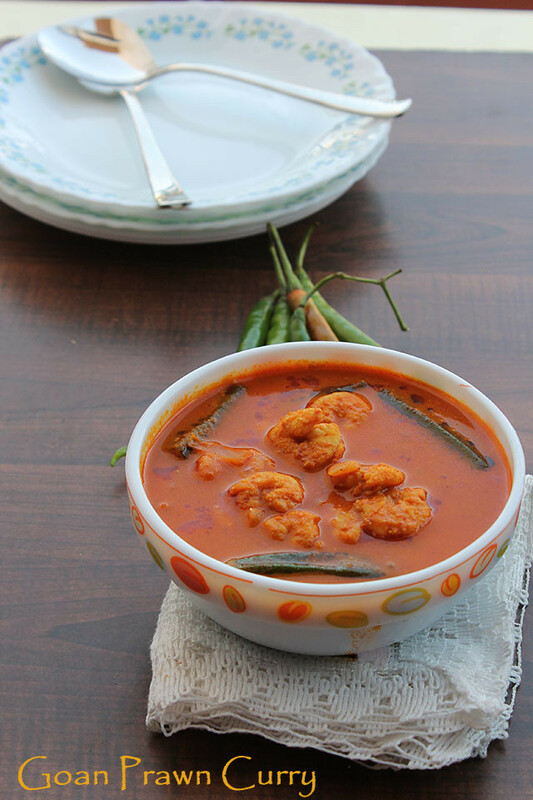 This is tangy, spicy, yum and just tastes fab with goan pav (bread), rice and appam. 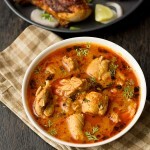 You could make same curry with any other fish like mackerel, kingfish, pomfret etc. 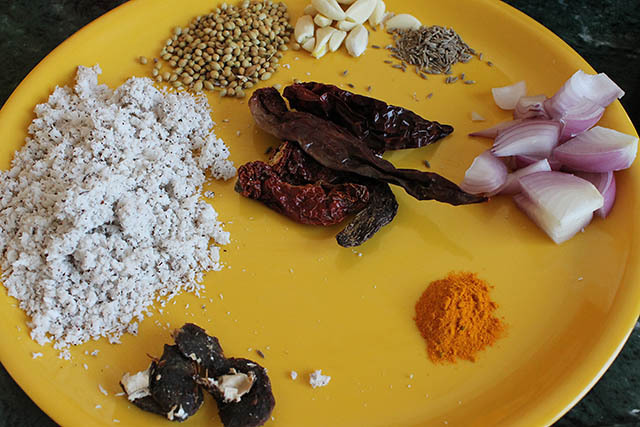 Basic ingredient goes in making this yum curry. 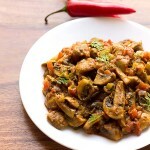 It’s simple curry made with basic ingredients yet bring’s out best great flavor and taste. This dish is easy to make and tastes great even better the next day. I remember eating previous day curry with bread yum. Any fish tastes great but my personal favorite is prawn. I didn’t miss my hubby today as enjoyed all prawn by myself. Also had them twice today so much I love them. Just club some dried fish, fish balchao, fried fish and veggies. I bet you would have a sumptuous meal. 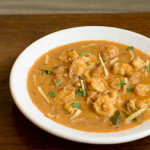 I have posted goan prawns pulao, goan prawns curry, goan sorak curry and goan egg curry. Just one important thing you have to bear in mind. 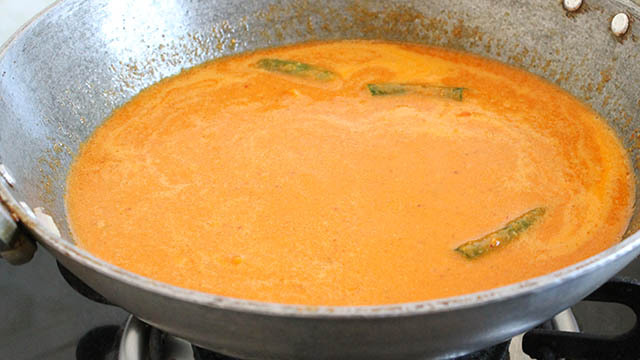 That is the red chilies used for making this curry. 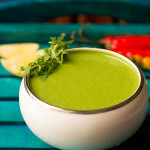 Preferably use dry kashmiri red chilies or bedgi chilies which imparts a deep color but mild spiced flavor to the curry. Don’t use any other chilies if possible. 1. Keep all the ingredient handy for the paste. 2. Combine all into the processor and grind until smooth paste is formed. Add little water if the paste is too dry. 3. 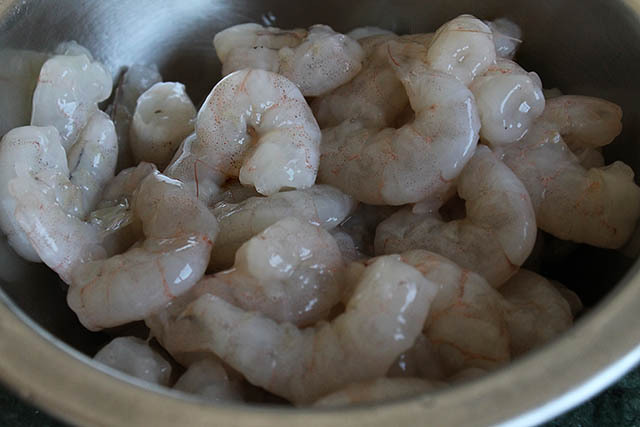 Wash the prawn and deshell them. Also remove the black thread / spine of the prawn else it would give indigestion problem. 4. 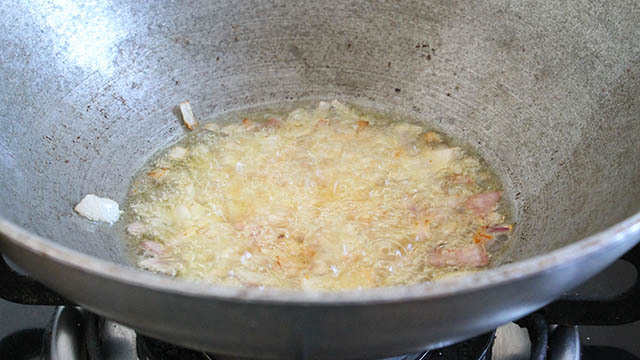 Take a deep vessel/ wok add oil and place on heat. Once oil is hot add the onion. Saute the onion until they change color. 5. 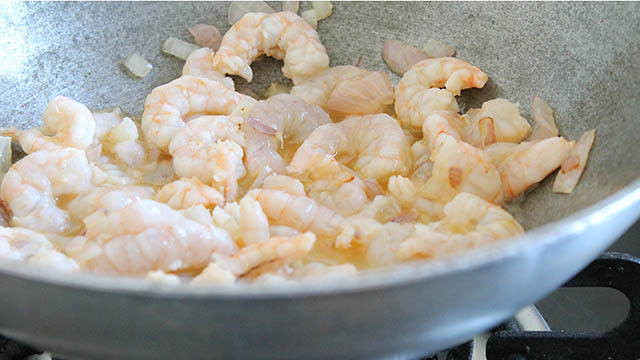 Now add the cleaned prawns. 6. 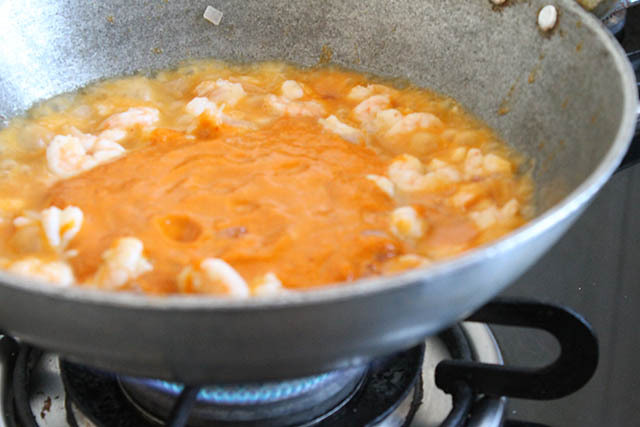 Saute the prawns until it starts leaving water. 7. Cook for a minute more. 8. Now add the grounded paste and mix very well. 9. Add the green chilies. 10. Now add water as per consistency required. 12. 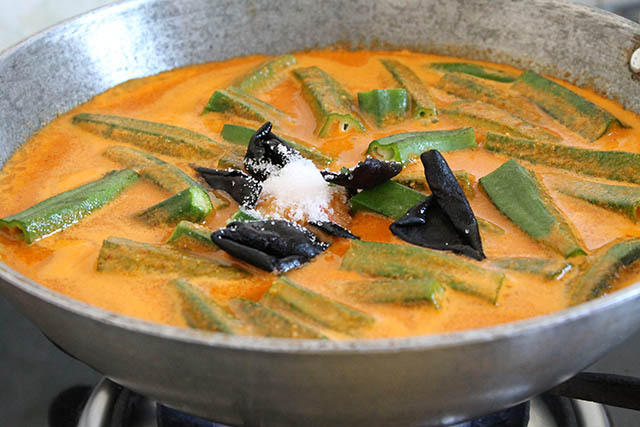 Cook the curry until okra is tender. Lastly add salt and kokam for seasoning. 13. Allow to cook for 2-3 mins. 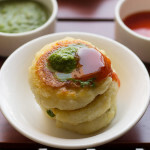 Serve the curry hot with pao or rice. Traditional, classic Goan prawns curry recipe. Keep all the ingredient handy for the paste. Combine all the ingredients into the processor and grind until smooth paste is formed. Add little water if the paste is too dry about 3 to 4 tablespoons water. Wash the prawn and de-shell them. Also remove the black thread / spine of the prawn else it would give indigestion problem. Take a deep vessel/ wok add oil and place on heat. Once oil is hot add the onion. Saute until they change color. 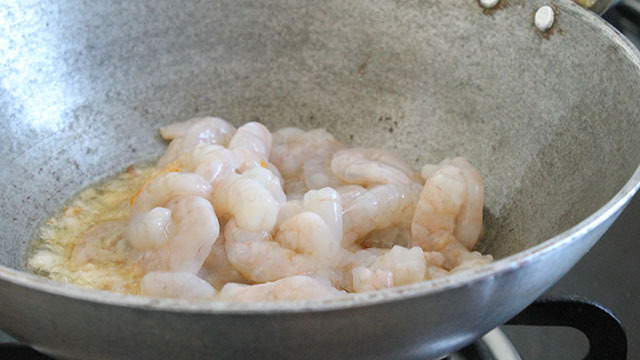 Now add the cleaned prawn. 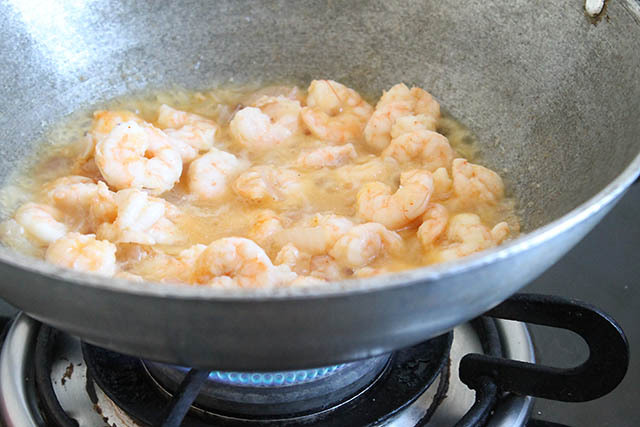 Saute the prawns until it starts leaving water. Now add the grounded paste and mix all nicely. Now add water as per consistency required. 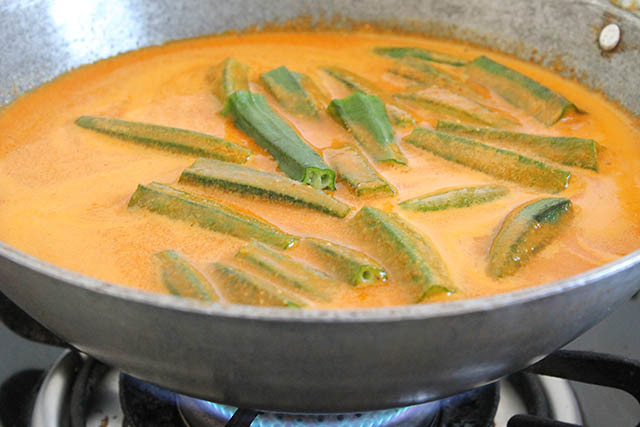 Cook the curry until okra is tender. Allow to cook for 3- 4 mins. 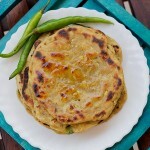 Serve the curry hot with pao or rice. 1. 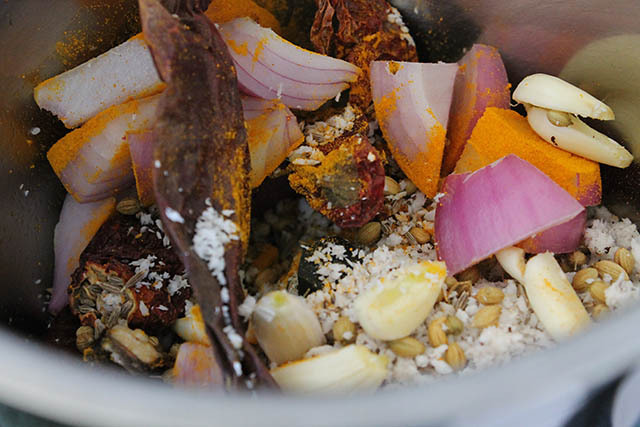 You could also add curry leaves and tomatoes in this curry. 2. Adjust spice as required. If you like more spicy use more red chilies. 3. If <g class="gr_ gr_165 gr-alert gr_spell gr_disable_anim_appear undefined ContextualSpelling ins-del multiReplace" id="165" data-gr-id="165">kokam</g> isn't available then use more of tamarind. Lyn kokam or kokum known ad Garcinia Indica widely used in Goan and Konkan Belt in India usually provides tangy taste to the curries. Its a black or dark purple fruit which is dried and used in food. Hope this help’s you. Hi I am a little confused with the portion of half a coconut grated. I live in Houston, tx and we get coconut in the freezer section in packs of 8-12 ounces. Please let me know. Tony thankyou for your kind words. I am trying my best to help you firstly yes they are standard measuring spoons. Its not heaped teaspoon. Secondly 10 garlic cloves are small so if they are big just use 3-4 cloves. For 1/2 onion just use 2 tbsp onion. Hope this helps you do let me know how it was??? and you are welcome.